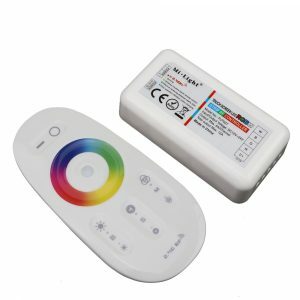 It can control the led lights up to four different zones, change color temperature, dim/brighten the lights, warm/cool white , different programs. Compatible with WiFi. 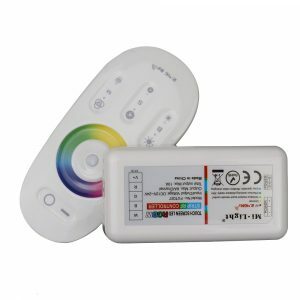 But If you want to control dual white CW/WW combo Color strips by smartphone, you need purchase the WiFi controller. low power consumption, long distance transmission, and strong anti-interference ability ,high speed telecommunications, etc. 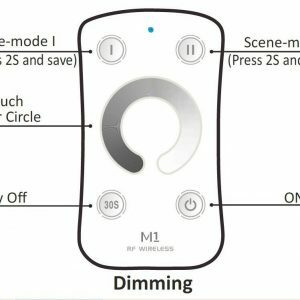 Mi Light series, dimming and color temperature changing. All light effects can be realized according to your preference or mood, just enjoy the dynamic life fulfilled with our lighting system. 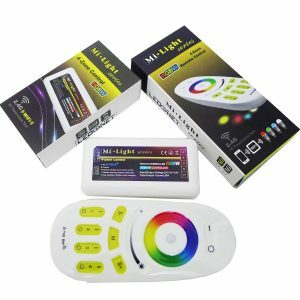 It can control the led lights up to four different zones, change the color, dim/brighten the lights, warm/cool white , different programs. The Controller doesn’t support to illuminate RGB and white at the same time. If you want to illuminate RGB and white at the same time, please purchase the RGBW controller. Compatible with WiFi. 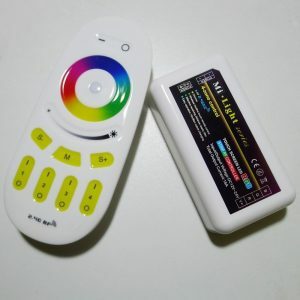 But If you want to control RGB or RGBW strips by smartphone, you need purchase the WiFi controller. color changing and brightness dimming. low power consumption, long distance transmission, and strong anti-interference ability ,high speed telecommunications, etc. 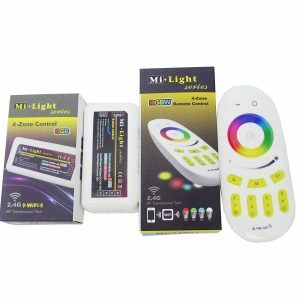 Mi Light series, dimming and color changing. All light effects can be realized according to your preference or mood, just enjoy the dynamic life fulfilled with our lighting system. Compatible with WiFi. 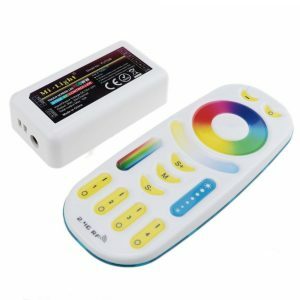 But If you want to control RGB strips by smartphone, you need purchase the WiFi controller . 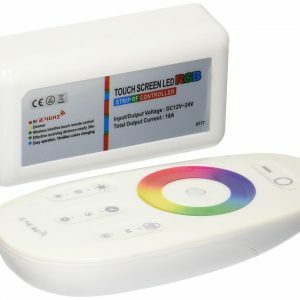 This system is a high performance RGB led touch remote controller, adopting the most advanced PWM control technology, controlling all RGB led products with five lines and four circuits (common anode), owning 640 thousand colors and 20 automatical changing modes to chose. It has the memory function (that is to say, the previous settings will be resumed when power on again). It is widely used in led RGB LED Strip light, led module and so on. 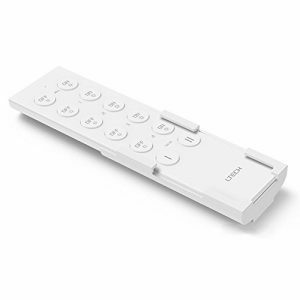 With the technology of the 2.4G high frequency wireless remote control, it has the characteristics of low power consumption, long distance transmission, and strong anti-interference ability, high speed telecommunications, etc. Control way: R G B three channels. Max load per channel: 6A. This system is a high performance RGBW led touch remote controller, adopting the most advanced PWM control technology, controlling all RGBW led products with five lines and four circuits (common anode), owning 640 thousand colors and 20 automatical changing modes to chose. It has the memory function (that is to say, the previous settings will be resumed when power on again). It is widely used in led RGBW LED Strip light, led module and so on. 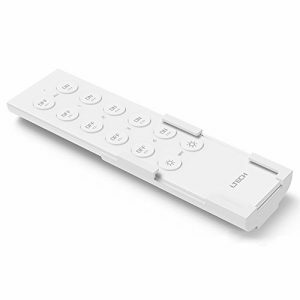 The remote looks fashionable and elegant, with simple and practical functions of color changing and brightness dimming, the capacitive touch screen design makes the remote easy to use. 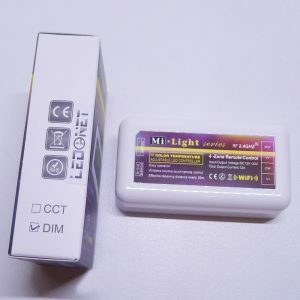 The modular design and easy screwed terminals enable the controller easy to match with all kinds of led light products. Two parts control: RGB and white. The main unit has full protection function for wrong wiring, output short circuit, overload and overheat. It is 4-zones 5CH LED controller, and suitable for 5 channel RGB+W+WW 5 colors LED strip lights. Input/Output voltage: DC 12V-24V. Output current: 6A/channel, total output max is 10A. Effective receiving distance is 30 meters. 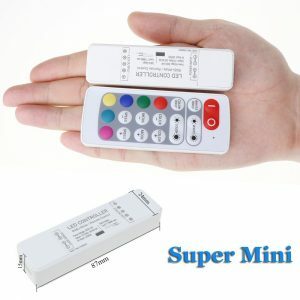 If you want to control more RGB+W+WW strips, you can add 5ch receiver. 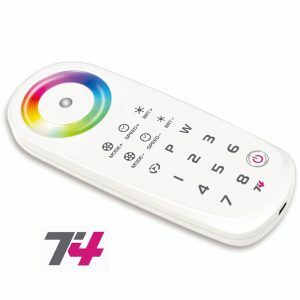 16 million colors to choose, dimming, color changing, saturation control and color temperature adjustable by remote. It is compatible with the Wifi contorller. 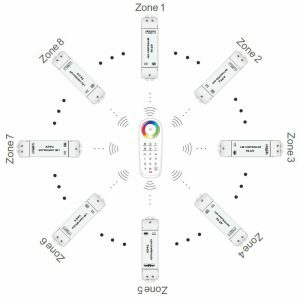 NOTE: 8-zone RGBW Remote is ONLY suitable for T4-CV and T4-CC. 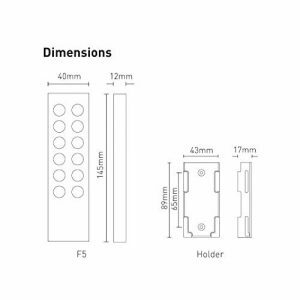 If you want to control RGB/RGBW/RGBWW led strip, you need purchase T4-CV recerive separately. 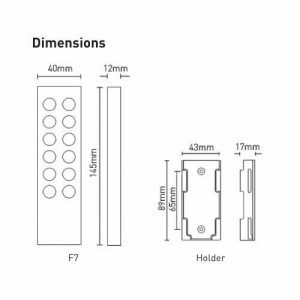 if you want to control RGB/RGBW/RGBWW led panel light, you need purchase T4-CC recerive separately. Change whatever you like: Sync/Zone. T4 integrated sync control and zone control in two working ways, you could switch anytime anywhere to meet your needs at different times and different places. No wiring needed between the receivers (seperately sold). T4 utilizes advanced RF synchronous control technology, it doesn’t need any synchronous signal lines between all receive controller,Synchronization performance is stable and reliable, a very good solution for the LED project needs sync control wirelessly. No more than 8 zones. T4 can support no more than 8 zones, one remote control can independent control the receiving controller no more than 8 pcs. Controller and the zones number for one-to-one correspondence relationship, each controller correspond the only zones number . 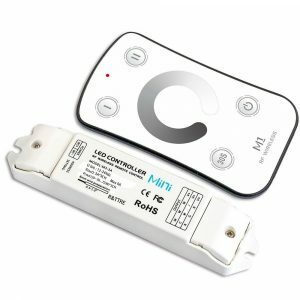 2.4G Dimming Controller,Compatible with E1 or F4-3A,Remote Distance: 20m. 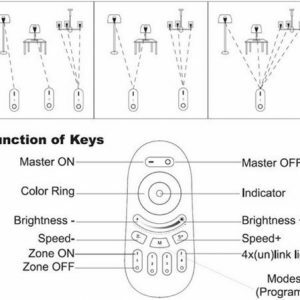 RF radio frequency remote control. Humanized wall bracket to mount the remote to the wall if you like. 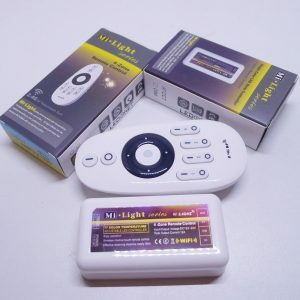 2.4G Color Temperature Controller,Compatible with E2 or F4-3A,Remote Distance: 20m. 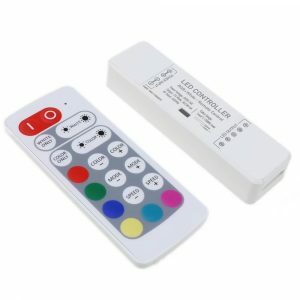 2.4G RGB Controller,Compatible with E3 or F4-3A,Remote Distance: 20m. It has two storable presets for brightness. You can keep one preset at a dim light and the other at max brightness. And there’s a “30S” button that will turn off the lights 30 seconds after you press it… great for turning off the lights at night as you’re leaving the house. This product is non-waterproof. Please avoid the sun and rain. When installed outdoors please ensure it is mounted in a water proof enclosure. 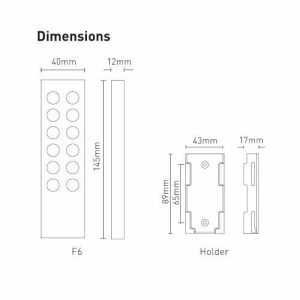 Small figure, multi-function. Chic, ultimate grip. To simplify, Easy To Use. 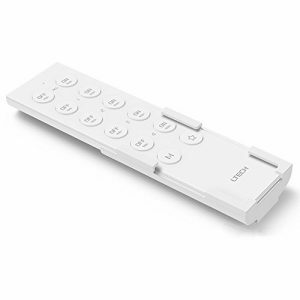 RF radio frequency remote control. Humanized wall bracket to mount the remote to the wall if you like. Lighter, more transparent and intuitive packaging.